Presenting 19 Evergreen Street, Mitchelton. Located in one of Mitchelton's newest areas showcasing impressive, contemporary homes, this stylish residence presents your perfect opportunity to enjoy modern Queensland living. Designed with the Queensland lifestyle in mind, the home offers fantastic indoor/outdoor areas and takes great advantage of the elevation and district views. At the heart of the home on the ground level is a generous open plan lounge, dining and kitchen area. High ceilings and extensive use of windows provide a great sense of space filled with natural light. The open plan feel continues through the large glass slider door leading out to a brilliant covered entertaining area - the perfect spot for entertaining, summer dining or just relaxing while watching the kids playing in the fenced, landscaped surrounds. Also on the ground floor is a media room as well as a separate study. 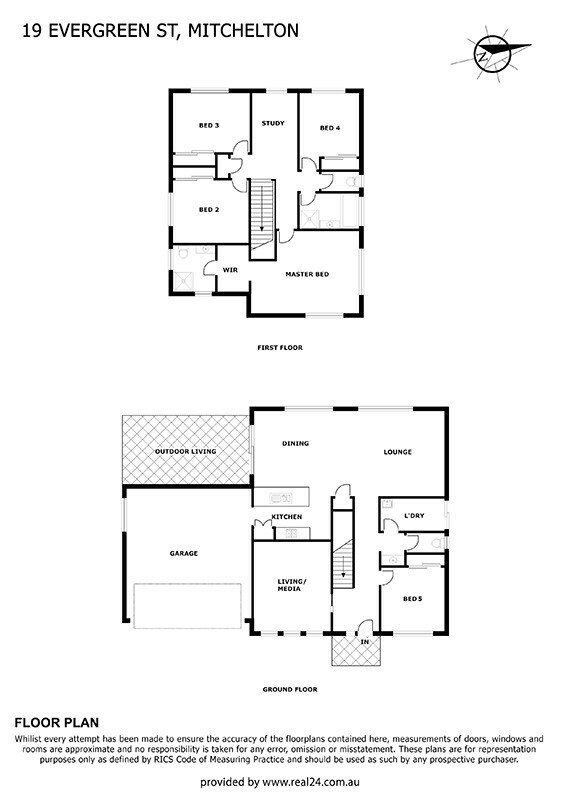 Venture upstairs to find four bedrooms with the generous master retreat, complete with stylish ensuite and walk-in robe, cleverly positioned away from the other bedrooms. A kids retreat, also features on the upper level. With nothing left to do, except move in and enjoy, 19 Evergreen Street is a must see. Room for a swimming pool in time for summer!